Urban Taskforce, the lead up to the NSW election presents the prime opportunity for the major parties to reduce the cost of housing by establishing a one-stop shop to efficiently process planning referrals from councils. Urban Taskforce CEO, Chris Johnson, said that with Sydney house prices being among the most expensive in the world, a more streamlined planning system is needed to increase the supply of new homes and to encourage affordability. "One area where both government and opposition must agree on is to simplify the complex referral system of planning applications to state government agencies that is adding months to the processing of applications," Mr Johnson said. Queensland State Assessment and Referral Agency) ensures that nearly all determinations are sent back to a council within 40 business days. "It can take a year to get comments back from NSW state government agencies," he added. Mr Johnson said most of the delays in NSW are because the agency commenting on a referral is focussed on other priorities and has no incentive to get comments back to a local council in a timely manner. "The NSW White Paper on planning reform proposed a 'One Stop Shop' to co-ordinate referrals to state agencies but the proposal was lost when the opposition in the Upper House voted against the reforms," he said. 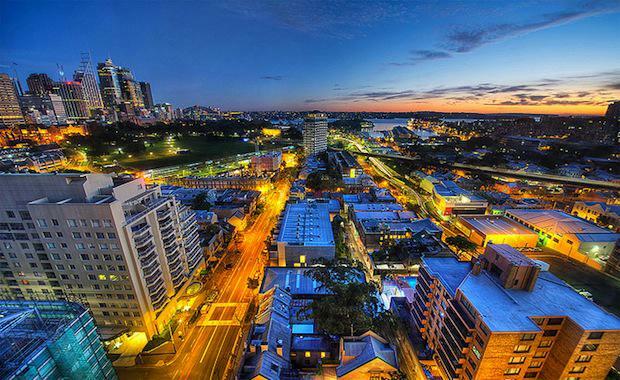 "It is important that both major parties in NSW work together to improve the planning system and the Urban Taskforce is proposing that the first step be the one stop shop for referrals based on the tried and tested Queensland system. "Queensland's Referral Agency is an excellent model that could make the NSW planning system much more efficient. "The Queensland SARA website sets out KPIs that the agency must meet in making decisions on behalf of state government departments. 98 per cent of total applications are to be decided within 40 business days and 60 per cent within 20 business days. "After the impasse on planning reform a year ago in the Upper House, it is important that the major political parties don't focus on popularist anti-growth issues but take a long term view that ensures the NSW planning system does not add unnecessary costs to the process of planning and developing new housing," Mr Johnson said.